Suffering from an urge to kill time while driving? 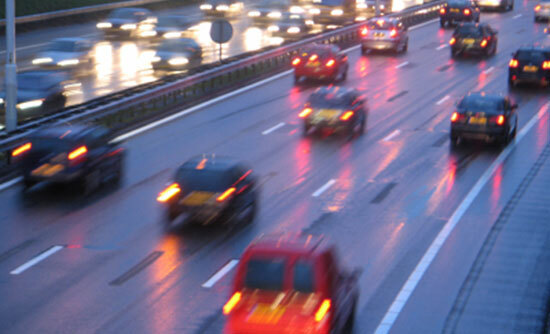 Feel jittery when traffic just isn't up to your speed? Find yourself saying, "I'll just do that on the way to work?" 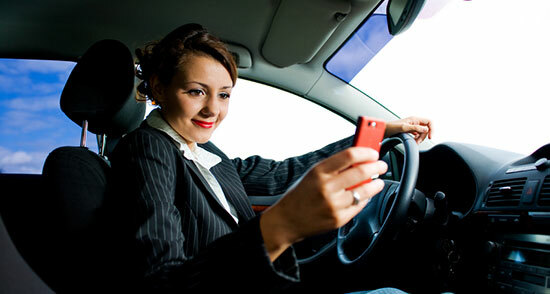 You might be suffering from what we like to call Traffic Temptations, or symptoms of distracted driving. Let us help to give you a check-up. You have it all planned out. A bagel with cream cheese, a breakfast burrito, a drinkable yogurt – the all-star portable breakfasts. Even though they seem like distraction-free satisfactions, they still require you to take your eyes off the road and at least one hand off the steering wheel. Think of the embarrassment: You slammed into that car all because you just had to unwrap that granola bar. That food will be a lot tastier if you wait to eat it at the office. Plan to leave 15 minutes earlier every morning and you'll have time to prepare and enjoy fresher food. That aside, leaving a little earlier could help you miss some of that traffic. Another option is to just eat at home – that way, you don't even have to worry about stomach growls. We get it. You want to get your drive over with and start your day, but it seems like there's one person holding it up for everyone. But driving too close to another driver's tail is only bound to make things worse – no matter what your lead foot is telling you. Not only is following too closely behind a vehicle a surefire way not to go faster, it's also a prime set-up for a rear-end accident – caused by you. Take it slow and be conscious of what's going on around you. There are a number of reasons a car may not be keeping up with the flow of traffic: They're looking for a turn, they don't have room to merge yet, or they find that driving conditions don't permit them to go any faster. Following them too closely puts you both at risk, especially if they need to brake quickly. Try not to gas it then slam on the brakes (another accident waiting to happen – this time behind you). Besides, when you do the math, going faster doesn't shave all that much off your travel time. If you're the one being tailgated, stay calm and continue to drive as you normally would. 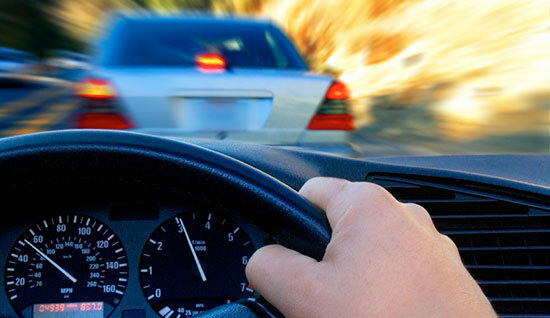 Never feel pressured to drive faster than a speed you are comfortable with. Once it is safe to do so, either merge into the right lane or pull off on a wide shoulder – ideally in a straight section of roadway so that there is higher visibility. Headlights: check. Back-up camera: check. Make-up and hair: not on this stage. How often do ladies find themselves applying lipstick in the rearview mirror, or men patting down stray hairs? The world doesn't stand still no matter how good you look, and so taking your eyes off the road for even a second can put you at risk for more than just smudged eyeliner. Do it at home, or wait until you're parked. Doing so will prevent mascara from ending up where it's not supposed to, and it'll likely save you a few expletives in the process. Besides, you'll look much nicer when you can give the mirror your full attention. Maybe you're not even texting. You could be looking at an email, changing the music, or taking a selfie. We've all heard our driver (or ourselves) say, "Just a second." Regardless, a lot can change in that "second" you look away. Even if nothing interrupts your driving path, you could still find yourself in trouble: texting while driving is illegal in Pennsylvania and many other states. Immediately discontinue use while driving. Calls, texts, and emails can wait, especially during rush hours, when friends, family, and employers expect you to be driving – not crafting a response. Put the phone away, where you can't even see the screen light up. And if that's not enough to get you to quit cold turkey, you might need a statistic to scare you straight: One of every four car accidents in the United States is caused by texting and driving.